Visit the Galleries during "Be Curious", the University’s research open day, to discover how writers of the past imagined the future and how artists were inspired by the University to create new art. Become artist explorers using ideas or techniques used by the Gregory Fellows, then set off on our trail quiz to discover some Gregory Fellows’ art. Eric Gregory created the Gregory Fellowships to give artists time to make work and share ideas and brave new advancements with people in and around the University. An event at The Stanley & Audrey Burton Gallery in the Parkinson Court. What’s your vision of a brave new world? Take inspiration from writers of the past and share your own ideas for the future. 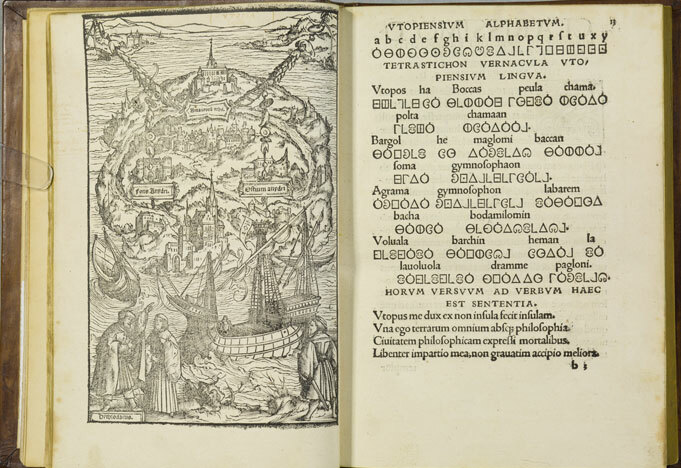 Discover works such as Thomas More’s novel Utopia, famous for its playful account of an ideal society, and create your own perfect world to add our picture. An event at The Treasures of the Brotherton Gallery in the Parkinson Court.